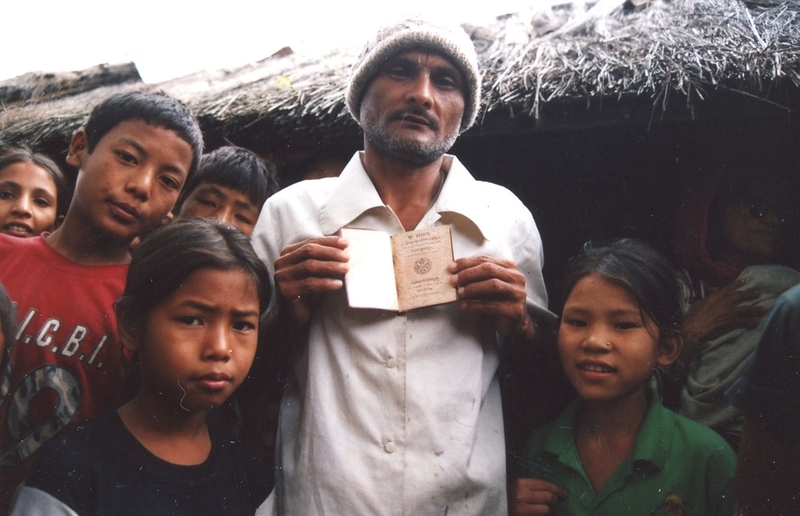 Ethnic Lhotshampa minority in a Nepali refugee camp holding a Bhutanese passport. In October 2018, Bhutan held its parliamentary elections. The centre-left Druk Nyamrup Tshogpa (DNT) won the elections, defeating the Druk Phunsum Tshogpa (DPT), which governed the country between 2008-2013. The ruling People’s Democratic Party was eliminated in the first of the two rounds of the election. The new Prime Minister Lotay Tshering is a medical doctor who gained national prominence for his mobile practice and came into power promising to promote social services in his manifesto. His party secured 30 seats in the parliament while the opposition DPT won 17 seats. Despite the elections being dominated by male candidates, five women were elected. Three were from the DNT party and two from DPT. Out of 10 ministers appointed to the new cabinet in November 2018 only one was a woman. While the election and the formation of a third new government since the introduction of democracy in 2008 has been seen as a positive development for the country, the Lhotshampa minority group continues to face restrictions in engaging with the election process. Many of the Nepali-speaking Lhotshampa people were stripped of citizenship rights and driven out of Bhutan in the 1990s after the king at the time introduced a “One Nation, One People” policy in 1985. Wearing their traditional dress, and speaking Nepali was banned. Those who resisted where labelled “anti-nationals”, arrested and subjected to brutal treatment according to Amnesty International. Around 100,000 fled and ended up in refugee camps in eastern Nepal. At least 7,000 still remain in the camps while the majority have been resettled by the UN. Some refused resettlement “because they say it absolves the Bhutanese authorities of what they did to the Lhotshampa”. Political parties demanding rights for the Lhotshampa have been banned under the constitution, which states that “all parties have to promote national unity and are barred from using ethnicity or religion to attract voters”. Parties also have to field candidates in all 47 constituencies. This has meant that the Lhotshampa have had their electoral rights restricted. In the 2013 elections international monitors documented Nepali-speakers being turned away from polling centres. It is unclear how many of the community are still in Bhutan. #Bhutan has made progress on right to liberty but must step up safeguards for defendants’ #HumanRights – UN expert group on Arbitrary Detention. The United Nations Working Group on Arbitrary Detention conducted its official country visit to Bhutan from 14th to 24th January 2019. The working group said that the government has made progress in ensuring the right to liberty but must do more to improve due process for defendants. The Working Group met civil society organisations (CSOs) and was “encouraged that CSOs are growing in strength and number” and were playing an important role to provide assistance to “to economically disadvantaged and vulnerable groups”. It urged the authorities to support CSOs, including those that work on civil and political rights and access to justice, so that they can “assist in addressing issues relating to arbitrary detention in Bhutan”.